Today we have brought you Fettuccine with shrimp recipe it is a popular recipe and likes kids as well as adults. That is why people ask us how to make simple Fettuccine while making style pasta is very easy. @Step 1 - Lower fettuccine into boiling salted water. Let boil, boil for 3-4 minutes. Throw in a colander. @Step 2 - Onions and garlic peel, chop. Heat oil in a saucepan put onions and fry for 5 minutes, until soft. Add garlic, mix and cook for another minute. @Step 3 - Pour the wine, bring to a boil and cook for 3-4 minutes. Add grated lemon zest and cream to the sauce, mix. Warm up for 3 minutes. 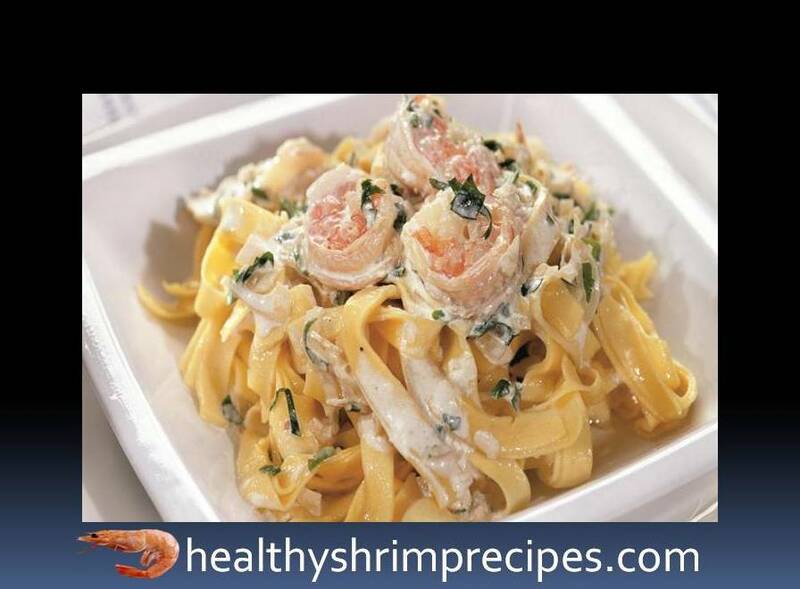 @Step 4 - Wash the shrimps, remove the shells, and sprinkle with lemon juice, put into the sauce. Warm up for 3-4 minutes. @Step 5 - Parsley greens and green onions washed, dried and chopped, add to the sauce. Season to taste, remove from heat. The delicious Fettuccine with shrimp recipe is complete. Now remove the hot Fettuccine in the serving bowl and Put the pasta in a hot sauce, mix and serve immediately. Enjoy yourself with the children too.